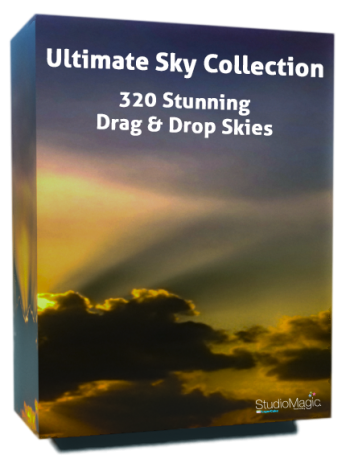 This collection of over 320 stunning, professionally photographed, skies includes Dramatic; Stormy; Sunsets; Golden; Puffy White; and, Wispy Blue. This collection is a must for adding drama and excitement to a dull lifeless image with a washed out sky in it. When you use the StudioMagic I Pro Panel, a plug-in extension for Adobe Photoshop, one can seamlessly replace a dull sky with one of the gorgeously stunning skies in the collection. Seamless sky replacement, completed in a matter of seconds, is now at your fingertips.